Hey HRNewbies, it’s been a while since I’ve addressed a topic for you specifically, but I’ve had this on my mind a lot lately and feel that it needs to be discussed. A few people have been reaching out regarding questions of what they should do next in the steps to becoming an HR Professional and I’m seeing a constant number of us wanting to skips the steps that make us. Experience Matters … especially in Human Resources. I wrote an article a little while back regarding everything that you don’t learn in college and how I feel that college is a lot of writing papers, but not direct exposure to life as an HR Pro. Now, the daily life of HR can and will change, there is no one direct answer to every problem, but I don’t think enough college rooms and discussion boards are addressing issues that arise in HR. It’s great to see so many HR Newbies wanting to come in and take charge of their role and move into another one, I was once that person. You land the job and then think of all the areas you want to impact and ways you can improve the position, but how can you change something you haven’t even attempted to understand? You won’t learn everything there is to know about HR in 20 years, let alone 5 months on your first job. Entry level jobs were created for a reason, internships were created for a reason. This post isn’t to stop you from pursuing your goals, but I really want you to stop and think about them. How have you made a positive change to the organization in your short time of being there? Would you be justified in terminating an employee out on leave? What will you do when an employee comes to you about a sexual harassment claim? How should you address the unemployment claim for a previous employee? What will you do when the employees’ pay is incorrect? 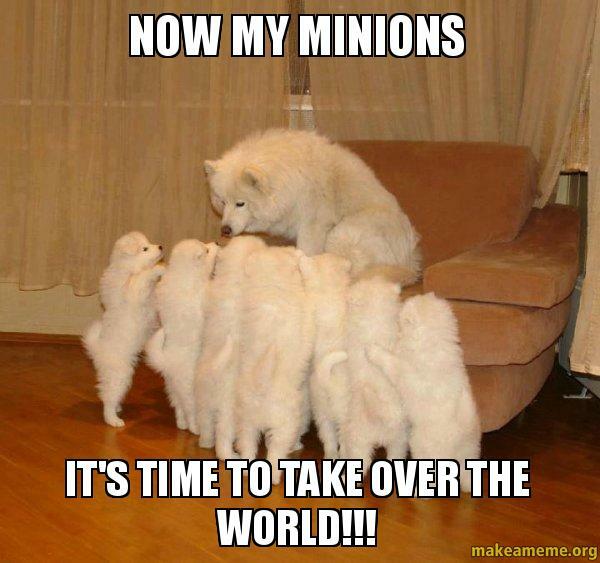 What happens if a group of employees’ get together and start talking about unions? Can your employee take FMLA to get a handle on their depression or help their dying mother? Is your company warehouse breaking any OSHA policies? How do you define exempt vs non-exempt? How do you have the conversation with your employee that others have noticed an odor coming from them? These are not the only issues HR handles, but just a few. A few that, yes, you could google or go to SHRM website or some other companies website to get help with, but how will you know where to start? Before the investigation into a sexual harassment claim begins, you have to know the right words to give to keep the team member talking when they’ve walked in that door. It’s not just because these are questions you need to be able to answer. Experience Matters because the Employees Matter. They don’t want to have an HR department who only has the ability to google information, they could have done that themselves. 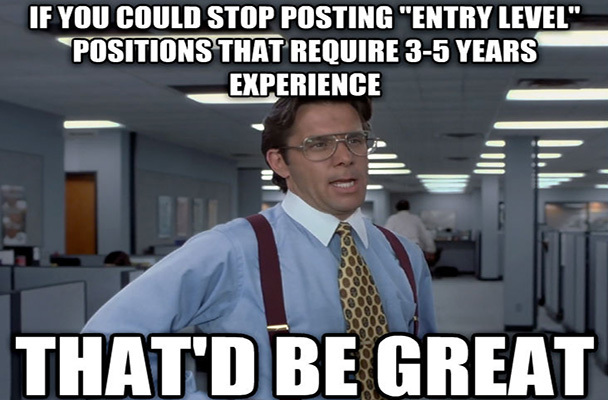 Are there companies asking for 20 years of experience for an entry-level position, sure. Does it make sense, no. 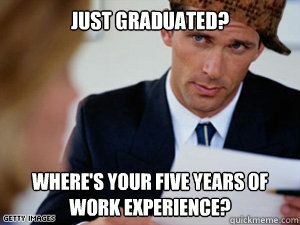 But, that doesn’t mean you should be the HR Director 3 days out of college. This is an issue that I really want to dive into. While the job market might be tough and tiring, I think a few people are also applying for jobs way out of their league. Not, that the job ad requires 5 years of experience and you only have 3, more like, let me apply for this job requesting 10 years with a certification, even though I just walked across the stage last night, type of leaps. Are we not creating more issues in the company with this mindset? If the organization isn’t valuing you or teaching you what they promised in the beginning, that is a reason to leave and find something else. But, I think some (and no, not just millennials) aren’t taking the time to understand the organization or the position before we’re trying to take over. What are your questions, why do you feel so rushed to be in the highest level of the company in 6 months, or maybe it’s me? Comment or email me your questions, it’s time to bring this to the table. Hey Jazmine! ALL of this really resonated with me. I’m taking the first steps to actually change careers – into HR – so there’s a lot I’m reading, but I don’t have that day-to-day, real-world HR experience yet. That’s a tough one to get around. I have many soft skills/competencies and experience leading teams that I think will be beneficial. Also, I’m taking quite a few online courses, as well as reading books. Any suggestions for how to get more knowledge about the admin side of HR? You mentioned SHRM, but if anything else comes to mind, let me know! Hi Josh! Thanks for reading the Experience Matters Post! I love that you’re taking so much initiative to learning about HR. I’ve gotten my start by being an HR Assistant and with a great company, I would say for newbies this is one of the best ways to go! I’m able to learn the admin things, but also be taught how to do more pressing things like STD, FMLA, employee death, EEOC, audits, employee relations, making a case to leadership and so much more. SHRM is an amazing resource, I also sign up for emails from companies in the HR field because they share ideas and thoughts of people actually doing the work. Sometimes it’s a vendor, like Ultimate Software Pro, or its a speaker like Jennifer McClure or Jason Cavness. Find people who are inspiring and reach out to them. Post your questions on twitter, that’s another one of my favorite things to do! I’ll be checking out your blog! If you have any more questions please reach out!